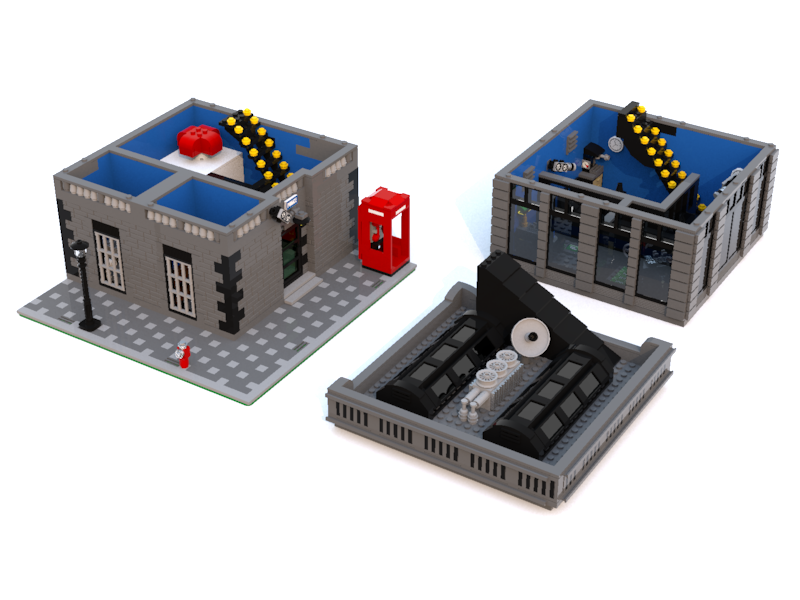 Parts of the design is based on "LEGO Brick Bank", along with other sets. 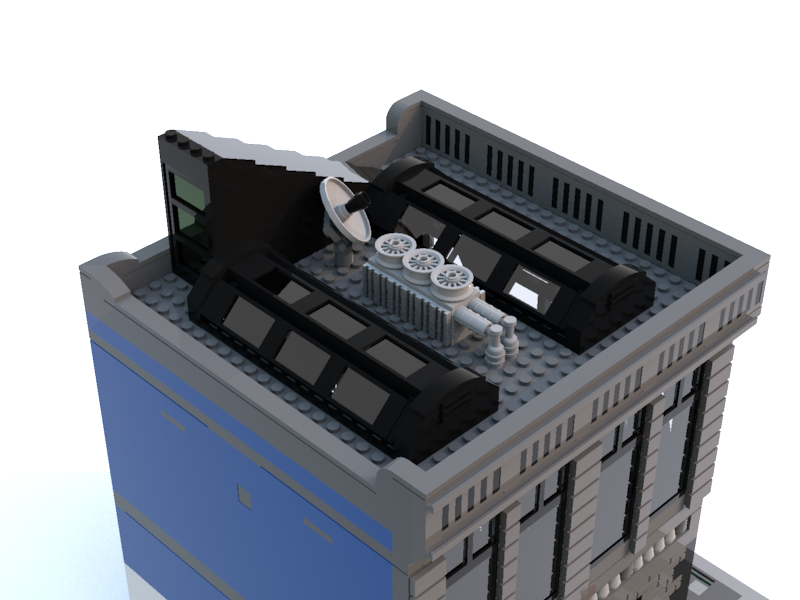 The model can be separated into three sections just as the regular "Modular Building". 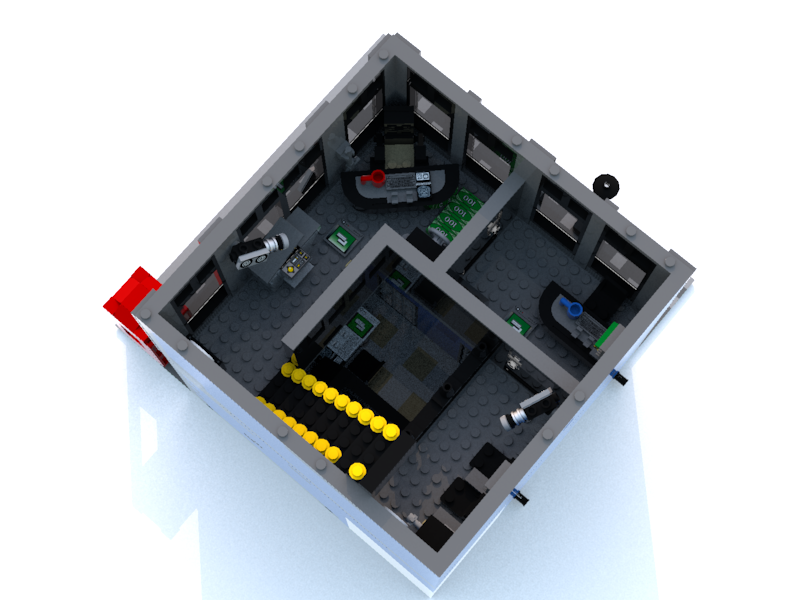 The first floor contains two prison and one asylum cell, and negotiation/questioning room. 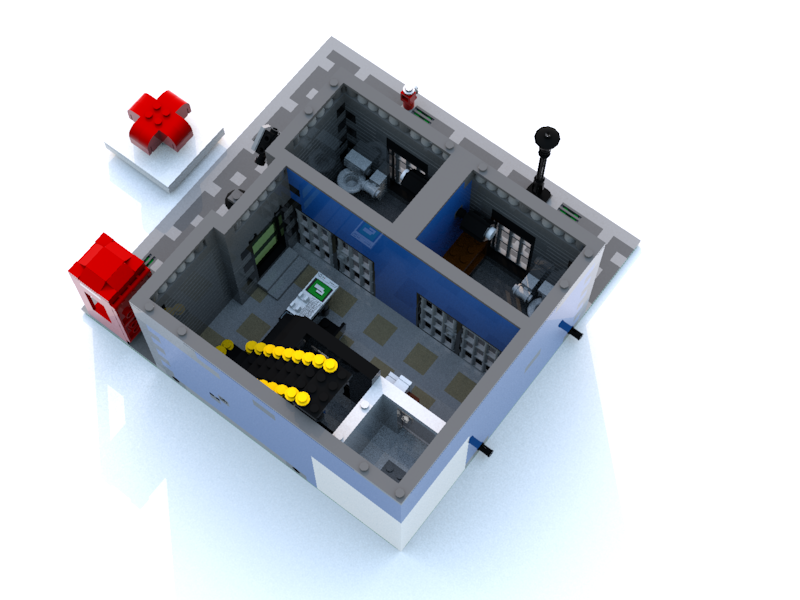 - Each prison cell includes bund bed, overhead TV, sink and toilet. The second floor contains two offices. - A office for the secretary. - A office for the chief sergeant. The third floor/section is the roof top with overhead windows, ventilation, satellite-dish and roof top exit. The sidewalk is decorated with a repetitive pattern, fire hydrant, street lamp and a classic phone booth.